Marriage: A time where a couple reaches the peak of their love, the potential to share your life with your partner ideally as long as vows proposed. Preparing for the future is essential. Making sure every possible scenario is covered will only help to solidify the marriage and avoid any troublesome obstacles. 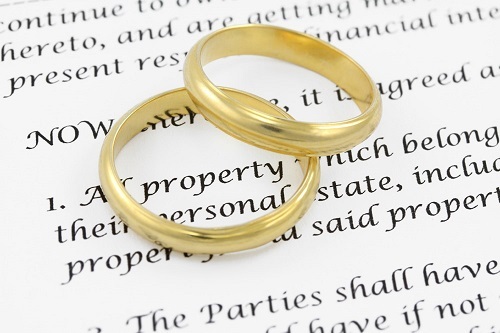 A prenuptial agreement is a mutual assurance that the future is secure. According to the Australian Bureau of Statistics, 46,498 divorces were reported in Australia in 2014. While newlyweds believe that their love can last forever, they are making a mistake basing their legal positioning on it. While it can be a sensitive subject, it’s in both parties best interest to clearly layout legal foundation for protecting everyone involved. It’s better to plan for all possibilities. Prenuptial Agreements are one of the few actions that can protect individuals in the worst case scenario when the divorce papers are served and lines are drawn. Considering all outcomes, however difficult, with your significant other ensures in the event of a divorce, your individual lives are maintained. 1. Don’t Do It Alone & Be Realistic! Setting the terms of the prenuptial agreement is a team project. While it can feel awkward planning for divorce, it can be looked at as insurance. Nobody buys health insurance hoping they end up in the hospital. It’s security for when the unexpected happens. A prenuptial agreement is for the incidents that can’t be accounted for. If anything, it shows an openness to being prepared for any possibility. There are templates around the internet for prenups agreements, but it isn’t recommended this route is taken. The lack of specificity or constrictive guidelines may fall short of what is required for your marriage’s unique situation. Getting a prenuptial agreement three days before the wedding is unacceptable. To further ensure protection from awkward situations, it is necessary to make sure the agreement is fully signed at least 30 days in advance. 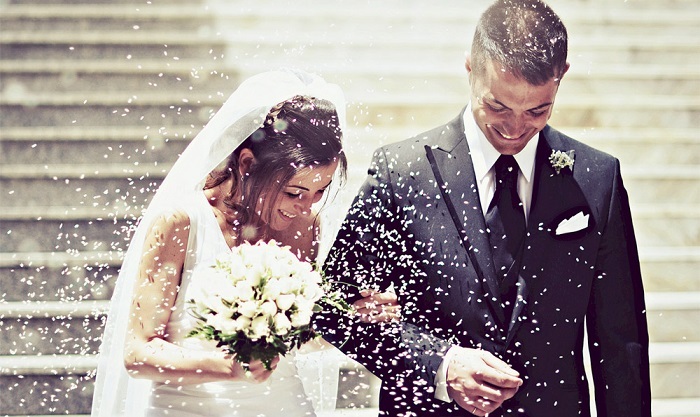 Many opt to get out of the way as soon as possible to ensure focus on the actual wedding process. If a prenup agreement is signed during the last minute there are significantly higher chances of a dispute. The proper time to digest what both parties have laid out for the prenuptial agreement permits both parties to be as content as they can be with the outcome. To make the process easier, we suggest that you get the agreement handled at your earliest convenience. Dealing with marital troubles is a costly affair. The best way to combat this problem is to get a lawyer involved in establishing the terms of a prenup agreement. Lawyers offer security, objectivity and proper documentation in negotiations. They also ensure the proper verification of the prenuptial agreement. Carefully choosing a lawyer that both parties agree to will prevent further issues. For some, it is easier to each individually pick out a lawyer. Having the negotiation process completed with individual lawyers removes the tension that may accompany getting it done. TIP: Find a lawyer that has the personality and negotiation skills that you both agree with. Additionally, take the lawyer’s advice. Many couples operate off the heart more than their heads. Your lawyer’s counsel is valuable. Their advice will come in handy and will save thousands of legal hardships later. The best prenups are the ones that are easy to understand. Prenups are for setting the terms of divorce financially. However, the best way to do an agreement is by not getting too deep into the details. Though there can be some level of confusion due to the complexity of the process, some headaches are avoidable. Ensuring every detail of the prenup is straightforward for both parties prevents any vindictiveness over a lack of understanding. The real secret to a successful marriage with a quality prenup agreement is through a benign, yet straight forward agreement. Don’t be mean, petty, or aggressive. Adding things that can be read as manipulative, mean-spirited, or malicious will ruin your agreement and the future of your marriage. In fact, most prenups that are made with ill intentions can get thrown out of court! Mixing assets is a huge no no. By taking the time to have an open dialogue . Divorce is an experience, but by taking proper ownership of your assets, it makes it easier to protect what is rightfully yours. It allows the focus of the marriage to be on what each partner has to offer and not what they have. TIP: I recommend making a complete list of your assets before the prenup agreement. Pay attention to the documentation and keep it secure in the event your partner attempts to change their tune when the divorce comes into play. Both Partners Are Able To Enjoy Peace Of Mind Long Term. A Prenuptial Agreement Is The Perfect Way To Protect Each Partner’s Children. It Simplifies The Finances Discussion. It Fosters Complete Transparency On Both Sides. Couples that have a prenuptial agreement can lessen any potential for future arguments regarding finances or children. A prenup clearly lays out the plan in the event of an issue and removes the pressure and complexity from the situation. Fortunately, a loving yet disciplined relationship can easily solve problems before they arise due to a prenuptial agreement. Putting the protections in place can relieve tension and ensure fluidity. Prenup agreements for some are marriage savers. Even if the connection that once was is no longer there. Nathan Hughes and his team of Sydney family lawyers at Familylegalsydney.com understand that family legal issues can often be stressful. They are passionate providing Australia women a high quality and friendly service. Their team is committed to educating people about their rights and responsibilities in family law.